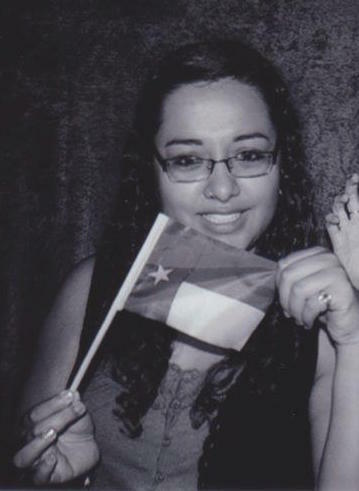 Clearly holding the Texas flag is an overwhelming task, because it’s so AWESOME. When I was asked to make this bio I initially thought, “Yeah, I can totally do that.” and sat down to play the Sims for three straight hours – completely ignoring the idea for two weeks. That, in a nutshell, explains me SO well. I like to think I’m a charming West Texas girl that totally has her life together. When the reality is that I’m actually still mentally in college and don’t have the slightest idea of how to act like a post-graduate “adult.” Every so often I’ll catch myself on the drive home from work having mini panic attacks that I haven’t studied enough for an imaginary exam – when I haven’t even had a test in well over a year. For the most part, I enjoy sitting at home binge-watching TV shows on Netflix, watching hours of youtube videos, selling my soul to my local Sephora/Ulta stores (seriously I visit every week), exploring my city with good friends, eating great food, making pun jokes, reading (when I get in a reading mood), going to concerts, hanging out with my boo thang and laughing till my abs hurt with my best friends.